For many people, Christmas is a party for the Family junction; for others, it is time to reflect; and for some, despite the joy that children feel for the arrival of Santa Claus, it is a period of nostalgia, because we remember the loved ones who are no longer with us. 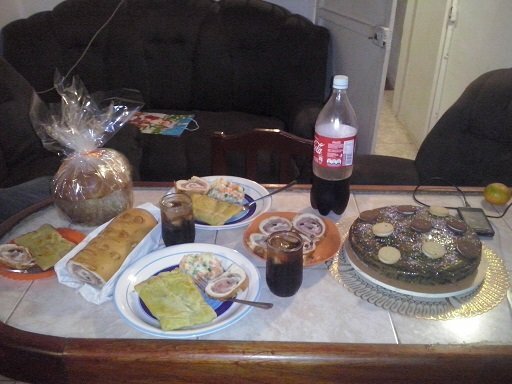 The Christmas dinner is a tradition that takes place around the world, families prepare various dishes, drinks and sweets, typical of this time. 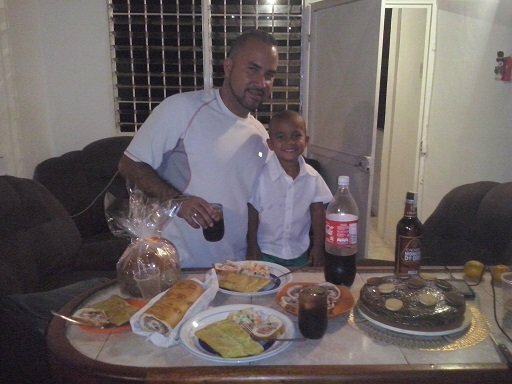 In my country, Venezuela, on December 24 it is common to have a family reunion where we enjoy the traditional dish that consists of the hallaca, which varies according to the region, the ham bread, the famous panettone, traditionally called panetón , the pork leg and the salad of chicken, also traditional sweets such as black cake, lechoza sweets, cookies, etc., and drinks can not miss these dates, cream punch, wine, whiskey, beer and soft drinks. 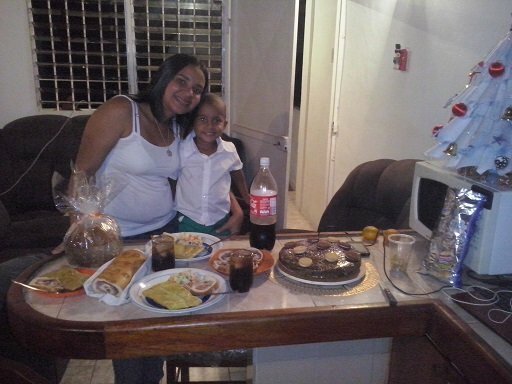 Together with my son and husband we enjoyed this little Christmas dinner. Friends of steemit I wish you peace, health, love, joy and much happiness.